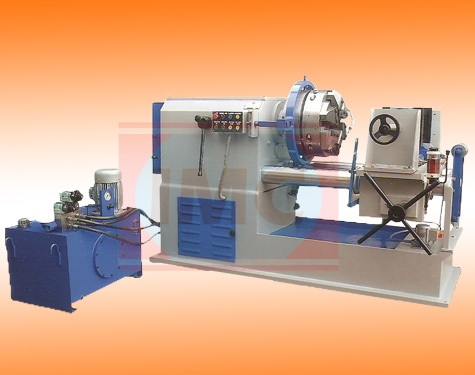 Pillar Type Hydraulic Pipe Threading Machine comes with self-opening the die head with headstock gears hardened with power pack, with one hydraulic cylinder for lead screw box nut engaging, one hydraulic pipe clamping cylinder and one hydraulic cylinder for die-head opening with micro switches with automation with control panel. Being in the business of industrial machine producing for over 7 years, what we would advise all of the purchasers with respect to Hydraulic Pipe Threading Machine is to have a point by point discussion on what are the customization’s that you really require in your Hydraulic Pipe Threading Machine.What’s more, to get the Hydraulic Pipe Threading Machine according to your redid necessities, it is constantly best to purchase this machine from an accomplished Hydraulic Pipe Threading Machine in India and when it happens to best, there is no name in front of industrial machinery corporation. Hydraulic Pipe Threading Machine are designed to give maximum efficiency and reliable performance under the most severe conditions of service with minimum maintenance cost. All the necessary requirements are combined in this model to from the basic fundamentals of correct threading. All the gears are made of case hardened steel with extra large face with and tooth thickness and cut on hobbing machine for noiseless operation even at high speed. Naturally, the are built with high standards of workmanship, material and quality so closely associated with Company Tradition. Design & Workmanship : The Industrial Machinery Corporation threading machines are designed to produce quality threads within the tolerance for which they were intended. Head Stock : A heavy duty geared Head Box is of best quality casting providing support to the spindle bearings. The box is of gear type, lubricated, fitted with three extra heavy duty bearings. The Bed : The bed is pillar type having two pillars made of best quality steel nicely finished & duly hard chrome plated in the most modern hard chrome plating unit. The Saddle : The Saddle is fitted on two pillars very precisely. It runs on pillars very smoothly and accurately to the Head Stock alignment. The Apron : The apron gives movement to the saddle with head transfer along with pillars through steel rack and pinion arrangements. It’s all gears are made of best quality steel. Vice Jaws : The vice jaws made from the best quality alloy steel are fitted on the saddle well aligned with the headstock center fitted in a heavy duty box type vice. The jaws are heat treated. The movements of jaws are controlled by a screw on the saddle.